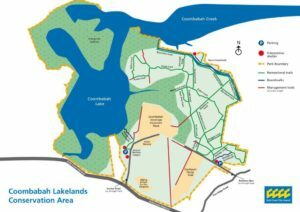 The suburb of Coombabah is surrounded by Paradise Point and Hope Island to the north, Arundel to the south, Runaway Bay and Biggera Waters to the east and Helensvale to the west. 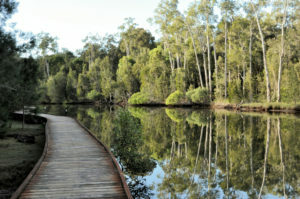 The Coombabah Wetlands are located within this suburb and are home to many native animal species. Many building and pest inspections have been undertaken by our company in our local area of Coombabah, including dwellings located within the popular relocatable parks situated within this suburb. We send out two highly experienced, licensed & insured inspectors working together as a team. Our clients are most welcome to attend their inspections and our inspectors will provide you with verbal results about the inspection while you are all together at the property. This is followed up with same day written reports. You are more than welcome to discuss your concerns and ask any questions you may have about the property with your inspectors. As we don’t need to advertise our services we are able to pass these savings on to our clients and offer very competitive pricing. If you would like a quote for your building and pest inspection in the Southport area, simply fill out our “Online Quote” form and we will get back to you with a competitive price for your Southport inspections. Allied Home Inspections does not work in with any agents or rely upon any agents to provide us with customer leads. Unlike most of the other Gold Coast inspection companies who state they are independent of agents but reward the agents in the background for the referrals they receive. We truly are independent of this practice and our own customers are the people referring our services on to their families and friends. We believe this agent referral practice is a serious conflict of interest and all parties involved in a property sale should be totally independent of each other. 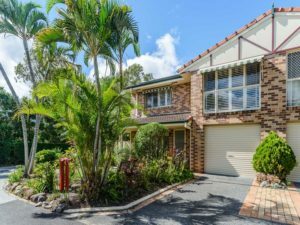 Reviews & comments from some of our other customers who have purchased properties in Coombabah also! It was good to meet you yesterday Peter. I really appreciated the thorough and professional way you checked and discussed everything with me in detail. Thank you for the report.